Calling all poets amongst our readers. 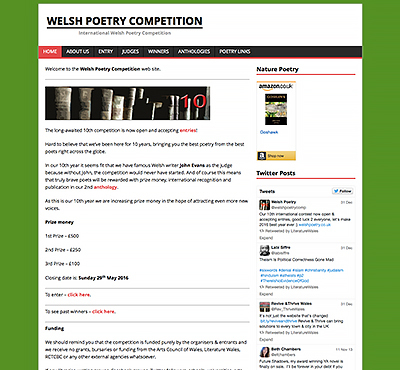 Check out the Welsh Poetry Competition website. 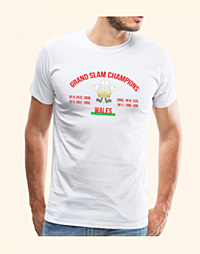 The contest was set up by Ponty poet & writer Dave Lewis in 2007. Officially launched on St David’s Day @ Clwb-Y-Bont, Pontypridd, 2007 the aim is to encourage and foster the wealth of creative writing talent that we know exists in Wales but currently languishes in the doldrums. We aim to inspire people to capture life in the present day and to give a voice to a new generation of poets and writers. We are not interested in purely academic types of literature but would much rather see pure raw passion burst onto the creative writing scene in Wales. With entries from as far a field as Abu Dhabi, Australia, Belgium, Canada, China, Corfu, Denmark, England, France, India, Ireland, Italy, Germany, Greece, Hong Kong, Israel, Kenya, Kuwait, New Zealand, Pakistan, Portugal, Scotland, Spain, Swaziland, Taiwan, Thailand, Trinidad & Tobago, USA and Vietnam as well as Wales of course, the Welsh Poetry Competition is a truly international competition, accessible to all (through the English language). We also hope to publish an anthology of winners every five years.